Jupiter by the Sea Condos is a gated community of 3 condo buildings with 12 units per building sitting next door to Jupiter Ocean Grande. The 01 stack is the south side of the building and the 02 is the north stack. There are two units per floor, so they are both corner units with lots of wrap a round glass. There is one elevator per building. 1 garage parking space except in building 1 which has more parking. The Jupiter by the Sea condos have two condos per floor that are 2 bedroom condos with a den area that I have seen converted to a 3rd bedroom. 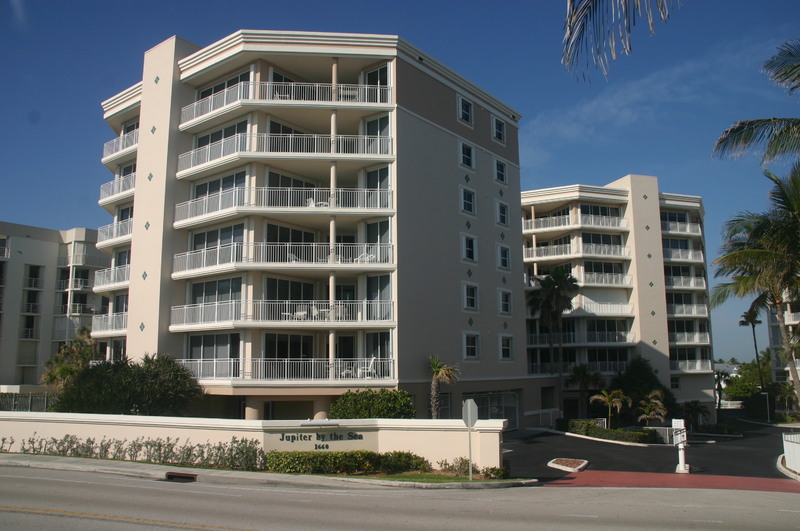 Browse listings for available Jupiter condos, or Read more and see floorplans of Jupiter by the Sea condos in Juno Beach. They have several balconies and are front to back units. They are about 2,200 sq. ft with direct ocean views east and views of Olympus to the west. Built in 1994 they have 9 ft. ceilings and have a great floorplan. 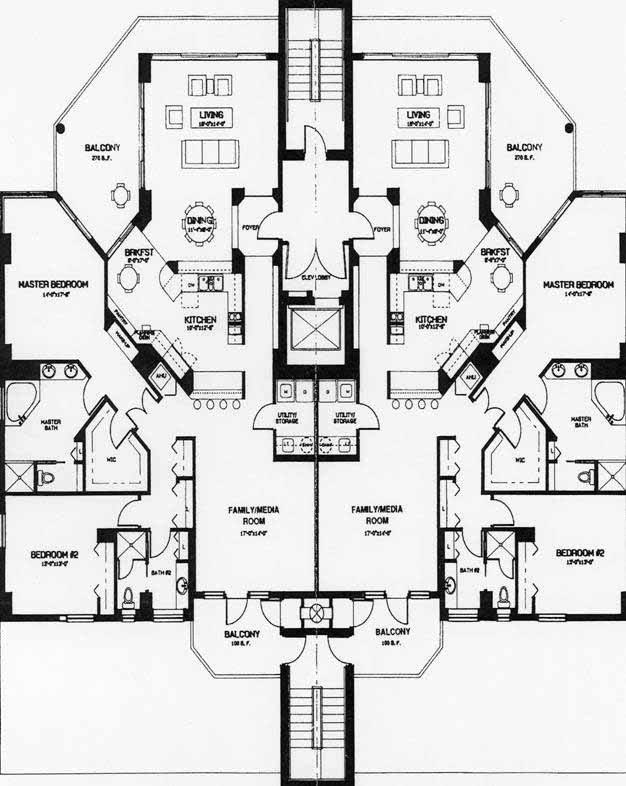 It is one of the better floorplans along the beach. The master bedroom has it's own balcony with sliders overlooking the ocean with plenty of space for a table and chairs. Some units have large storage rooms on the second floor. Jupiter by the Sea features a community pool, clubhouse and fitness center as well as a shared tennis court with the Corinthians next door. The buildings are labeled 1,2 and 3 with building three being the closest to the ocean. A 6 month minimum lease and 20lb pet limit. Jupiter by the Sea is one of my favorite Jupiter beach condos and you should see the complex. The first item that should catch your attention is the number of glass sliders allowing plenty of light into the condo unit as well as the wrap around balcony with large area for a dining table. You will also notice the condo runs front to back for with no walls blocking the interior. The condo features both a living area and family room which can easily be converted to a third bedroom and the utility room can has room for a sink and toilet if need be. Arond the back you'll notice the West balcony which depending upon the building makes for great sunsets or views of the lake in Olympus. If a Jupiter by the Sea Condo listing has caught your eye or you want more information about Jupiter, FL real estate, please don't hesitate to call 1-561-744-7025, or email via our handy contact form with any questions or to arrange a showing.